AXS TV announced on July 1 that it will celebrate the life and legacy of Ringo Starr, with the once-in-a-lifetime tribute concert “Ringo Starr: A Lifetime of Peace and Love,” on Sunday, July 13, at 8 p.m. ET. The David Lynch Foundation hosts the benefit event, presenting Starr with the Lifetime of Peace and Love Award for his dedication to spreading peace and love throughout the world as a pioneer of transcendental meditation—a method for self-development, stress reduction, and relaxation, that Starr famously began practicing during the Beatles’ trip to India in 1968. Serving as house band for the evening is a super-group of rock royalty led by GRAMMY®-winner Don Was on bass; Benmont Tench (Tom Petty & the Heartbreakers) on keyboards; iconic axemen Peter Frampton and Steve Lukather (Toto) on guitars; and Kenny Arnoff (John Mellencamp) on drums. The David Lynch Foundation was founded in 2005, as a means of providing transcendental meditation training to adults and children throughout the world. Since that time, the foundation has treated tens of thousands of people, with special programs developed for underprivileged students, survivors of domestic violence, and veterans suffering from post-traumatic stress. 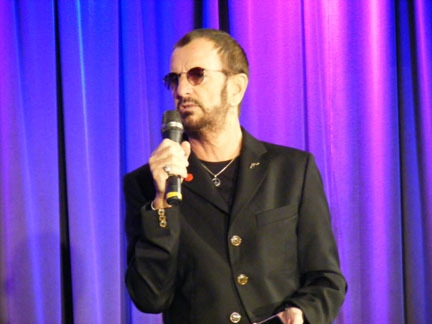 The foundation launched the Ringo Starr Peace and Love Fund in January of 2014. Categories: Beatles News | Tags: 2014, beatles, concert, david lynch, ringo starr, TV appearance | Permalink. Paul McCartney’s new live CD/DVD, Good Evening New York City, was released on November 17. It features performances recorded at New York’s Citi Field on July 17, 18 and 21, 2009. McCartney’s shows were the first concerts ever held at the new Citi Field, which replaces Shea Stadium. And most striking to this longtime Beatles fan was when McCartney sings “Here Today”, his tribute to the late John Lennon, and gets extremely choked up during the performance. As many times as I’ve seen Paul in concert or watched previous live performances, I can’t recall ever seeing him get this emotional during this touching song. “As you can tell, sometimes that song catches me out,” Paul explains to the audience afterwards. But, warning, you don’t necessarily get the same experience on the live McCartney CDs. To me, the purpose of a live concert recording is to be able to re-live over and over the magic that was created that one special night. However, it seems like Paul doesn’t see it that way. On the CDs, all his comments in-between songs have been deleted. At the beginning, he declares, “Good Evening New York City,” and that’s the extent of his spoken words throughout the recording, except when he shouts out “Billy Joel” after their duet on “I Saw Her Standing There.”. This is not the first time he’s done this on a live CD. For the 2002 release of Back in the US, Paul did the same thing and deleted all his comments in-between songs on the live CD. Not only that, but there are instances where a different vocal recording appears on the CD compared to the one that was used on the DVD. For example, the vocal used on the DVD for “Here Today”, in which I just mentioned that McCartney gets noticeably choked up, is a different performance on the CD where there is no crack in Paul’s voice whatsoever. 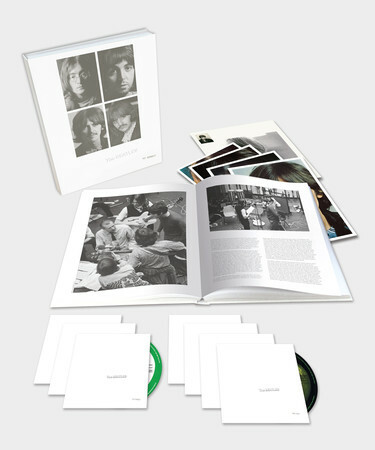 As a result, while the live CDs are a great performance of McCartney’s solo and Beatles hits, they sound way too smooth and polished to offer the true, authentic live concert experience. And in the end… the DVD (not the CDs) really recreates the magic of seeing Paul McCartney in concert. At the age of 67, he still puts on a great live show. There’s no mistaking that the man loves what he does. My recommendation is that you get the deluxe edition of the set (available exclusively at Best Buy) which also includes a second DVD featuring Paul’s news-making performance from July 2009 on top of the Late Show with David Letterman’s marquee in Manhattan. TV alert: A Paul McCartney Thanksgiving special will air on ABC at 10 pm on November 26 featuring excerpts from “Good Evening New York City” as well as original footage from The Beatles Shea Stadium concert. 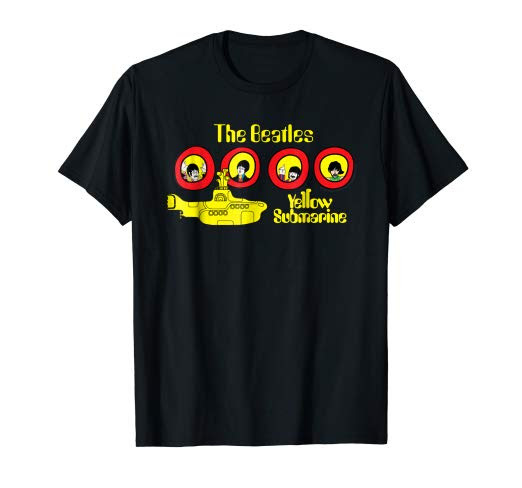 Categories: Beatles News, New Beatles merchandise, Reviews | Tags: cd release, concert film, dvd release, good evening new york city, Paul McCartney, review, shea stadium, TV appearance | Permalink.